Integration and automation systems, by design, touch almost every part of a home or building’s internal systems. 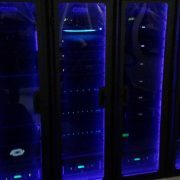 While our expertise allows us to keep many things under our roof, such as fiber optic installations or high level networking, we are still required to work with other vendors in order to effectively complete the full automation of a space. This includes everything from licensed electricians, HVAC specialists, cable and internet companies, landscapers, window and entryway installers, and many more. Since our client’s time is so valuable, it is only natural that they would work to schedule multiple home improvement projects within a similar time frame. This fact along with the complexity of our systems and how many other parts of the home or office’s ecosystem they connect with, a setback in any part of the work can cause issues for the automation system and our timeline. It is important for an integrator to be nimble enough to be able to react adequately to these issues and stay on schedule. At the end of the day, the job needs to be done on time and done correctly, regardless of what issues pop up. In order to accomplish this goal we work closely with other vendors on site, oftentimes assuming a role similar to that of the general contractor. Our experience allows us to notice inefficiencies and issues with other vendors early, and work to correct it with those individuals before the timeline of the job gets off track. The goal here is not to offend or put down these vendors, but instead to elevate them to our level, as the client’s happiness with the finished product is paramount. 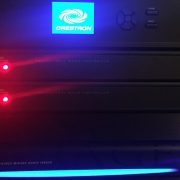 In first time Crestron installations we often find ourselves working with vendors who don’t have experience with automation systems. When this happens we take the time to educate and ask second level questions about their work and process so we can ensure everything will play nice in the end, leading to positive performance and improvement all around. In the coming months we will be writing more about this topic, going into detail regarding how we interact and work together with many different vendors. We look forward to sharing this knowledge in hopes that professionals across the country can learn how to view the bigger picture for happier clients. 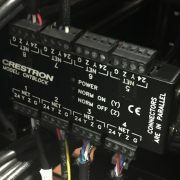 Interested in full home automation by Crestron with concierge level customer service? Contact us today to learn more.